What are the chances of you coming into being? August 25, 2010 / Ned / Enter your password to view comments. "Overman would be proud," I mumbled to myself after hearing the second Elvis song in a row at 8:05 yesterday morning. Yup, he would be ecstatic that if there was one thing carried over from my high school education, that I could recall Elvis Presley’s birthday with minimal prompting would be it. 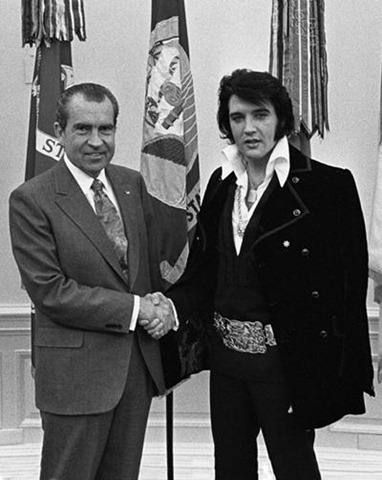 So I thought about Elvis, quite a bit, in fact. He was hard to escape yesterday, his music on the agency’s sound system all day. I think I may have been growing a bouffant hairdo during this barrage on my sanity. So I posted a comment on the NY Times Ethics blog for the first time. Here’s the connection to the article. I am post #194. Click to go to article. It’s an interesting read. Resurection (not the title of my painting but of my blog entry). 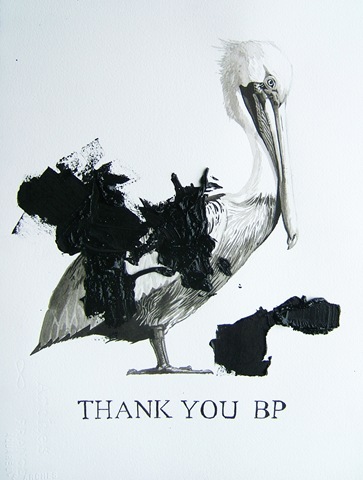 This is from a series I am doing on animal/human territory collisions. Somewhat related to my painting Apex. 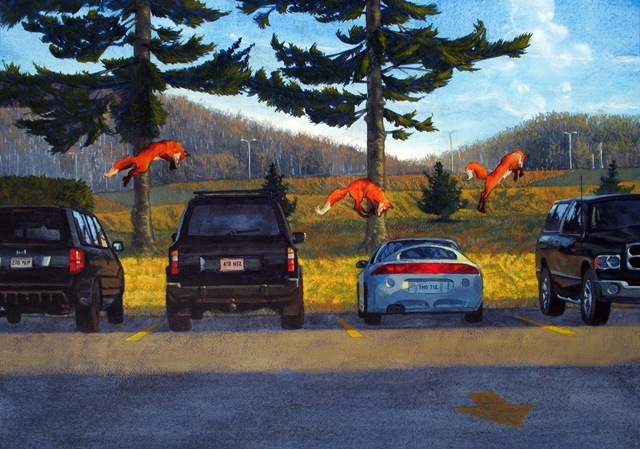 This is a parking lot near the Eau Claire mall where I saw a fox darting between two SUVs that inspired this painting of a trio of foxes. There should be two more to come, but right now I am very busy painting muslims.